There is currently a lot of publicity regarding the new technology of controlling your heating from your phone. 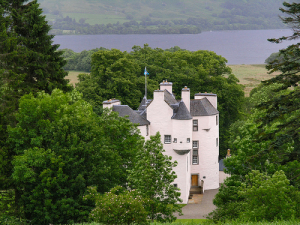 Let’s go back 20 years to when Thermsaver provided remote control of a 16th century castle in Scotland. The project required radical thinking as the client wanted to control the time and temperature of heating and hot water from the south of England! Within the castle there was a mix of radiators and Underfloor Heating with a large hot water cylinder. The UFH system, supplied by Thermsaver, was designed to work on high/low temperatures with complete boiler control rather than a basic on/off function. Prior to traveling to the castle, the client would access a controller from his base in England and set up times and temperatures for his arrival. This ensured total comfort within the thick walls of the castle, as well as accurate temperature control, full boiler control and a very efficient heating and hot water system. The technology used is common today, but then, it was considered leagues ahead of its time.